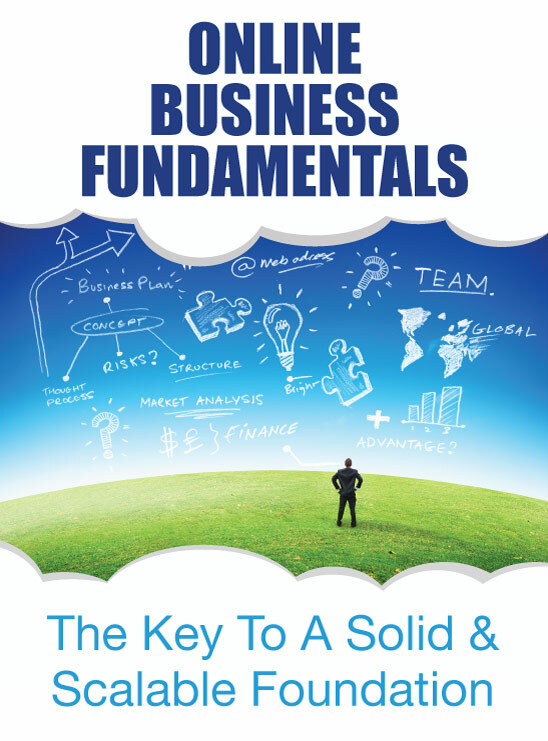 Below is an outline with links to every lesson offered in this Online Business Fundamentals course. Step #1 in online marketing success! Whether you are considering starting an online business, launching a new product or improving the results for an existing website, this course will give you a solid foundation to build upon. Online marketing agencies and high priced consultants charge thousands of dollars to take clients through the exact same questions and thought processes that are laid out in the Business Fundamentals Workbook that accompanies this course. This is a simple and proven process that will ensure your business is well prepared for online marketing success and will provide you with an invaluable tool for ensuring that your entire team will be on the same page and moving toward the same destination. The different levels of digital marketing maturity and what steps are necessary to take a business from one level to the next. How to clearly communicate the value your business offers your customers. Create customer personas and understand the customer journey so that everything you create has a clear purpose and strategy to attract more visitors and turn those visitors into customers. Know your competitors inside and out so you can consistently outperform them. Know the economics and margins of your business so that you can make informed and profitable marketing decisions. You will learn how to identify the capabilities of your organization and how to optimize for your strengths and weaknesses. You will receive an outline of the hardware, software and skill sets that are necessary to success of web businesses. You will be given a high level overview of SEO, SEM, social, content marketing, affiliate marketing, marketing automation, and how to blend offline marketing with digital content. This course will guide you and your team to easily develop a plan for success online. The lessons in this course are based on the same principals and processes that are currently being used by the industry leaders in nearly every category of business. This course simply outlines everything it currently takes to be a success online.